Nice comparison! Do you know the heights of the needles, and if there's any work to get the plastic cover sheet to fit? I honestly still haven't installed my plastic over the Harley needles..
Terry, what paint did you use to paint the Harley needles? This picture is exactly what I'm looking for. Don't know how I totally missed that post. Thanks! just FYI, i find sanding paper useful for removing the existing paint. Also, it'd be good to blue tape/mask the sides. Last edited by t955152; 10-07-2014 at 10:26 AM. So I got a couple people asking which needles I have. I honestly thought they were either Harley or GTO needles. From the pics posted for comparison though, it looks like the Alibaba needles are the closest match. I think I got mine from Kamsden (I must have Alzheimers I swear) and mine came white, presumably stripped and repainted. They look fine to me and I want to get more sets so if anyone has an actual Alibaba (or whatever) link to those style needles - even if they're red, please post it! Does it look janky being painted by a brush or is the paint self leveling? Would it be a better ideal to toss in some reducer and spray it in a airbrush gun? I like the Harley needles. t955155 do you happen to have an extra set of those? 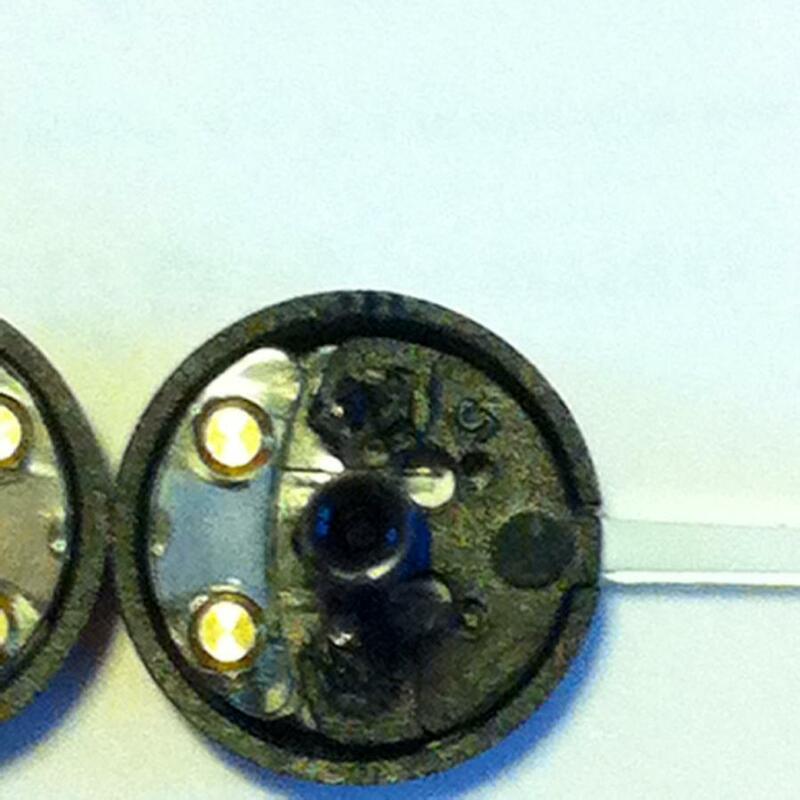 Below are 2 e-bay posts for the 27mm Harley needles. Both have more than 10 available. They are slightly different than the original 31mm Harley needles. The light pipe used to light the needles is half way covered by a hat connected to the shaft causing low lighting of the needle(see below). My thoughts are if you could drill/dremel some openings in the hat(underside) and remove the white paint in those areas of the needle it would allow more light to enter the needle. I ordered a set to experiment with and will post the results once received and I have spare time. Remember to offer $10 a piece when ordering 2 needles through make an offer. Did anyone try and message him to see if he has the older style needles? I'm not sure anyone has extra that didn't already sell them. I'll tell you what Nessal if you can find me a set of the white alibaba needles, I'll trade you either my 31mm or 27mm Harley needles, your choice! I actually have a set of the original needles posted here. Was just wondering if people who need them actually emailed him about it. Appreciate the offer though. they look pretty good! if can help you paint them if you want haha. Another thought on the 27mm Harley needles that Bob had mentioned a while back was to widen the opening in the display to allow more light to hit the existing light pipe since its located away from the shaft. I'm going to try and look at some options over the weekend. I can't get my lcd to seat when it is actually mounted in the cluster bracket. I pulled the new lcd out and pushed the pins into the board myself and it works just fine when I plug in the cluster. But when I actually mount the lcd with the four screws, and put the cluster board back on with the screws, the lcd won't come on. The header pins on the new lcd are pretty much the same length as the old one. Anyone have a trick for this? 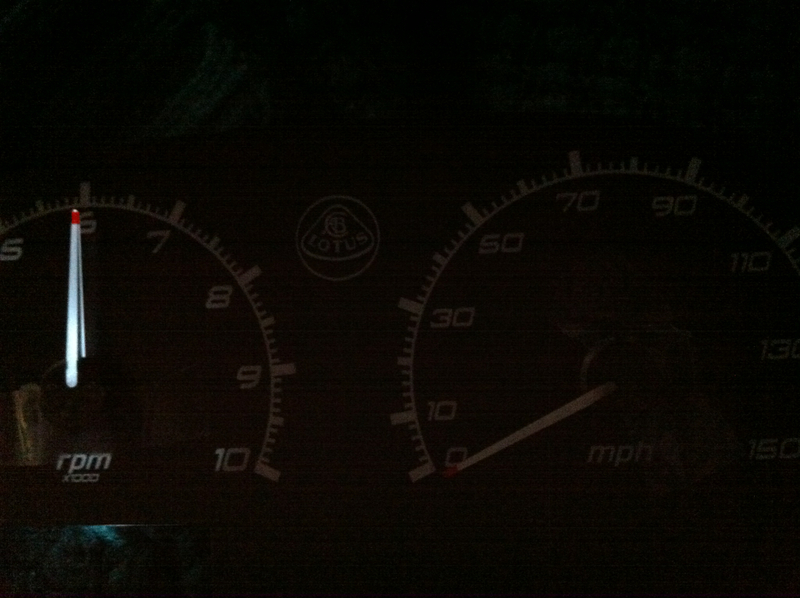 I replied in the gauge cluster modification thread. If you still run into snags and want to know more about my method just ping me with a PM and send some pics if it's still not clear. Did some slight mods to the underside hat. Shaved the hat at the back of the shaft keeping the structural integrity intact(improved lighting). 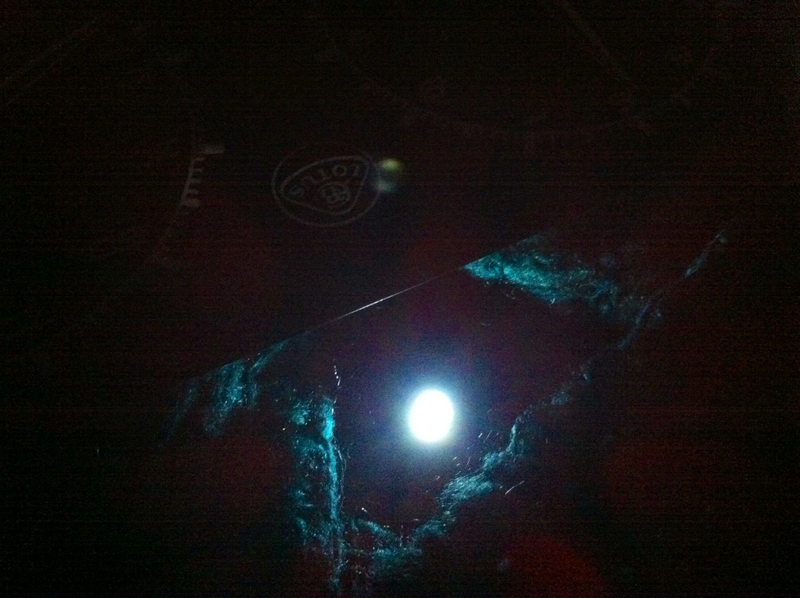 Also I drilled two holes in front of the shaft toward the edges of the needle itself(marginal improvement). Note there are two dimples at the front that need to remain. I taped the needles in place on the display and used a single LED light to simulate the light rings at the base of the shaft. You can also make the gauge display openings slightly larger for even more lighting improvement if you choose. I have not done that in these pics. Sorry for the poor cell phone pics. Last edited by surferpkt; 10-13-2014 at 05:47 AM. For those that like the Harley needles but missed out on the 31mm version. With slight modification good lighting can be achieved with 27mm Harley needles that are still available for purchase. 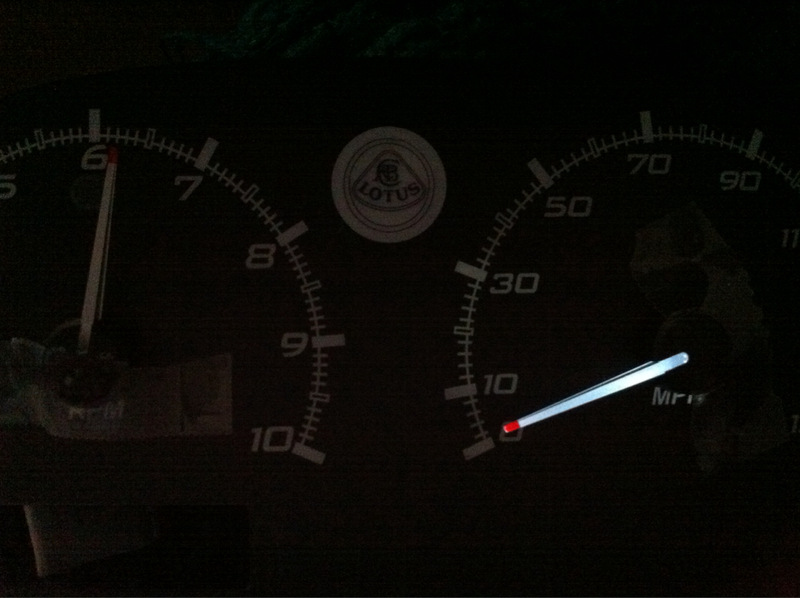 nice work on the gauge Terry! it's a quality product.